" The Church invites all the Christians to prepare two big solemnities : Christmas and the Easter by a long time of prayer called respectively the Advent and the Fast. These liturgical times are accompanied with strong experiences of personal and community meditation during which we listen to the Word of God, silently. The spiritual retreat are exactly it: times of grace where each one opens the heart with humility and makes so that God's presence fills it with its glory the dark corners of the human existence. 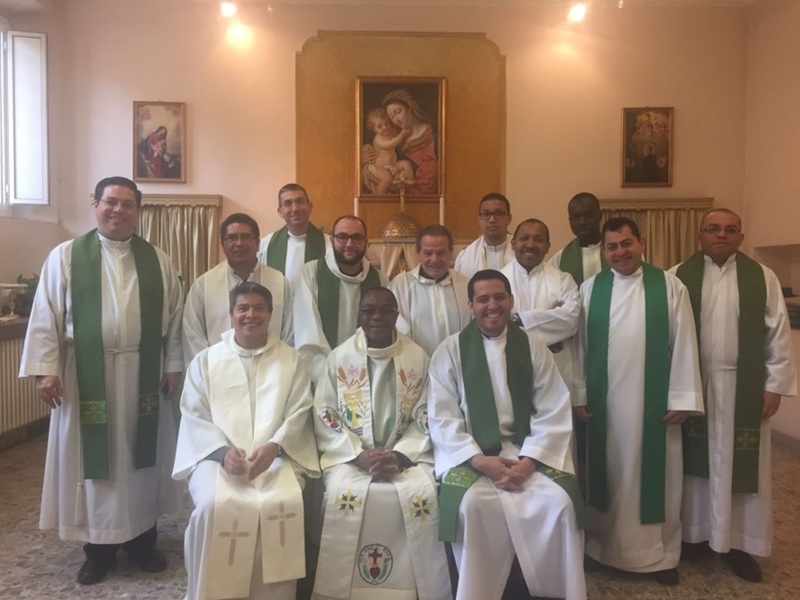 Generally, the retreats are accompanied with conference spiritual, of personal meditation, the sacrament of reconciliation and the eucharistic celebration. " It is thus to get ready for Chrismas that last Saturday of the liturgical year, preceding the Sunday of Christ King, 15 student priests of the college Saint John Eudes and the members of the general Administration " rose aside ". This time of retreat took place on the hill of Celio, at the General House of Passionnistes. And it is religious Father Franco Stanom claretains, to postulateur of his Congregation which led from the theme " at first love. So that Christmas does not leave unmoved us ". His reflection concerned the life, the Advent and the nativity. For the time of personal meditation, he proposed Paul Claudel's poetry: " the Virgin at noon " and during the mass, he read then commented on Jean's Gospel, on chapter 14, 1-6. It is noon. I see the church open. I must enter. Mother of Jesus Christ, I have not come to pray. I have nothing to offer and nothing to ask. I have come only, Mary, to gaze upon you. That I am your son and that you are here. Only for that moment when everything stops. Letting my heart sing its own language. in this kind of sudden couplets. on the morning of her original splendor. Who is truth in your arms, and our sole hope and sole fruit. Mother of our Lord, be thanked!